Asahi (Japan’s No. 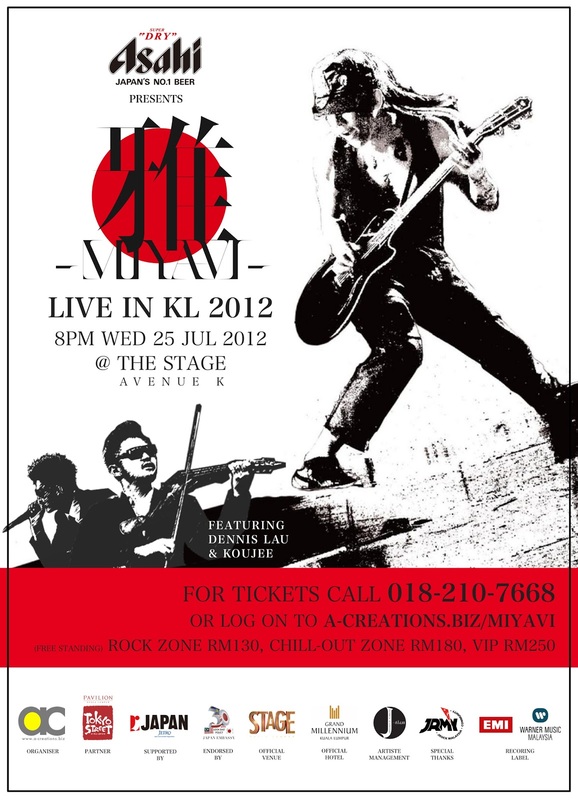 1 Beer) is proud to present larger than life Japanese rock musician Miyavi live exclusively at The Stage in Avenue K, Kuala Lumpur, at 8.00pm, on Wednesday 25th July 2012. Known as the samurai guitarist, he has a flair for playing the electric guitar with just his fingers, instead of with a conventional pick, and he is achieving worldwide appeal for his original, one of a kind slap style. Through his three successful world tour, this visual kei artiste already conquered 30 countries across North and South America, Europe, Asia, and Australia, with over 150 shows. He converged all the genres of rock, punk, hip hop, and dance, into his most recent album released in late 2010 - the innovative “What’s My Name?”, in which all the songs are composed only with guitar and drums. One year after that, Miyavi conceptualised a collaboration project with established ‘samurai’ artistes across all genres on the “Samurai Session World Series”, which saw its first release “Strong” - featuring Japanese hip hop artiste Kreva. A distinguished and bona fide rock star in his home country, Miyavi also has a legion of loyal and dedicated following worldwide amongst the Japanese rock fans circle. “I realise that I have so many fans outside of Japan, and I really want to visit them and perform at many places overseas,” shared the maestro. Organised by entertainment company A-Creations, the concert is supported by JETRO (Japan External Trade Organisation), endorsed by the Embassy of Japan, supported by Pavilion’s Tokyo Street (Partner). ABOUT MIYAVIBorn in Osaka, Japan, Miyavi moved to Tokyo with just his guitar on hand after quitting high school at the young age of 17. Soon after, he found success with indie rock band Dué le Quartz as their guitarist Miyabi. He eventually pursued a solo career and re-invented himself as Miyavi, and he was also part of the Japanese rock group S.K.I.N. Miyavi now wears the many caps of being a guitarist, singer, song writer, arranger, record producer, actor, as well as dancer. More recently, he gained recognition amongst his peers after producing music for television commercials such as Uniqlo, Toshiba, and Nissan Motors. Besides that, his many song collaborations notably include Tomoyasu Hotei, Maki Nomiya, Studio Apartment, Yoko Kanno, Anna Tsuchiya, and Good Charlotte. It’s that time of the year again! The concert that many have been waiting for, is finally back to our shores and this time, it’s going to be bigger than ever. The best international, regional and local acts will be performing for your entertainment at the MTV World Stage: Live in Malaysia 2012! Remember the Fun We Had Last Year?MTV World Stage last year saw Malaysian have a rockin’ good time with 30 Seconds to Mars, Pop Shuvit, Neon Trees and Beast. X-plosive performances, X-travagant sets with x-tra excitement on the side made it the best MTV World Stage yet. It’s a Teenage DreamThis year, be prepared to scream and squeal in delight as your teen idols take the stage. Featuring performances from heartthrobs Justin Bieber and Jay Park, K-Pop queens Kara, and the fierce Miss Nina – MTV World Stage will be an affair full of eye and ear candy! To add on to the excitement and fun of MTV World Stage, Xpax has some awesome stuff for you! You can get FREE tickets to MTV World Stage: Live in Malaysia 2012 plus more. Just check this out! Step 2: Upon receiving registration confirmation SMS, reload RM60 (cumulative) and above to get mobile voucher to redeem TWO FREE tickets. Limited to TWO tickets per mobile number. 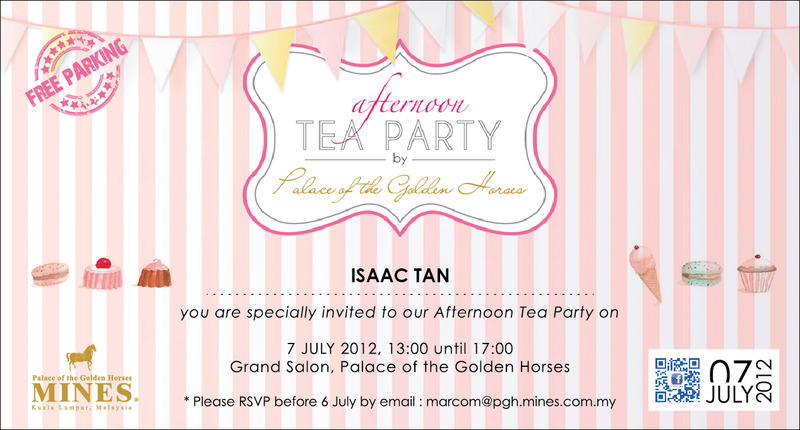 Register and reload must be performed before 10th July 2012. 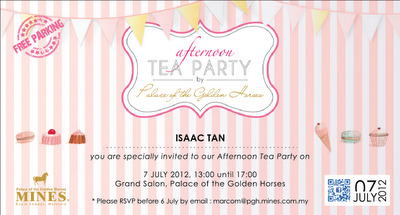 Mobile voucher must be redeemed by 12 July 2012. Tickets availability is subject to first come, first serve basis. To Download Call Me Tones: Dial *888*<CODE># press CALL. To Download Full Songs: Send FS<space>song code to 21308. To Download True Tones: Send TT<space>song code to 21308. Just record your voice screaming “I Love Justin Bieber” in the longest and craziest way to get tickets to MTV World Stage Live in Malaysia 2012! Dial *1185 to stand a chance. To download, type CMT<space>songcode and send to 22990 or dial *888*<songcode># and press CALL. To send Call Me Tones as a gift, type CMT Gift<space>songcode<space>friend’s mobile number and send to 22990. You could be the extremely lucky one to join an exclusive Meet & Greet Session with Justin Bieber! So, if you want to be at this year’s MTV World Stage and have an X-citing time, go to xpax.com.my or http://www.thecube.my/ now! There’s always cool swag for you when you “Like” us. Be a fan of Xpax/U.O.X./S.O.X. 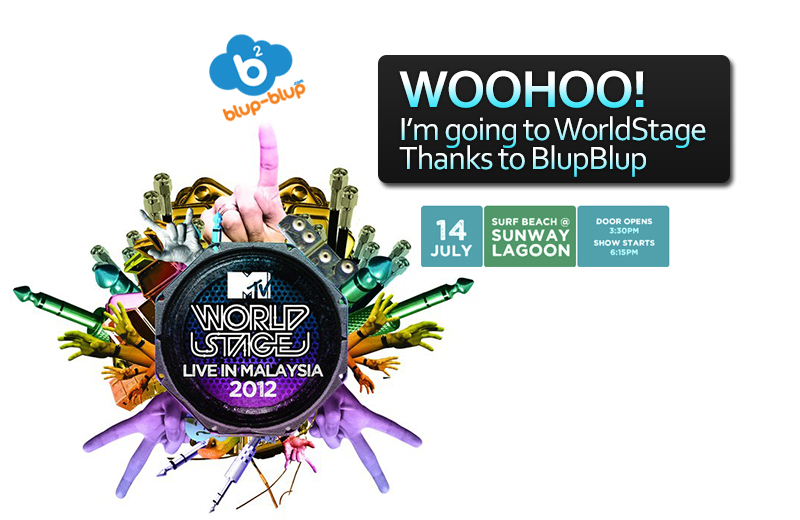 on Facebook and you could score tickets to MTV World Stage Live in Malaysia 2012. Starting 26th June 2012, you can log in to the Xpax/U.O.X./S.O.X. Facebook page at www.facebook.com/xpaxfb or www.facebook.com/uoxfb or www.facebook.com/soxfb and use the “Time to Muxic” Facebook app. From 26th June to 8th July, use the app to spread the word about MTV World Stage and share it with as many friends as possible. The more you share, the more points you get and this will affect your ranking in the app’s leaderboard. Be one of the top 25 point-getters and you will win FOUR passes to MTV World Stage! Starting today, Lexus Malaysia is proud to showcase their Lexus models at selected hotspots in the Klang valley. Lexus models are class of its own that is passionately crafted with uncompromising standards and embodies the relentless pursuit of perfection. The Lexus showcase is part of the outreach programme that aims to introduce the Lexus brand to a wider audience. The Lexus showcase that takes place at Gardens, Kuala Lumpur from 6 to 10 July and at Pavillion, Kuala Lumpur from 16 to 29 July 2012 will showcase the future perspective of Lexus trademark as well as an insight into the brand’s success. 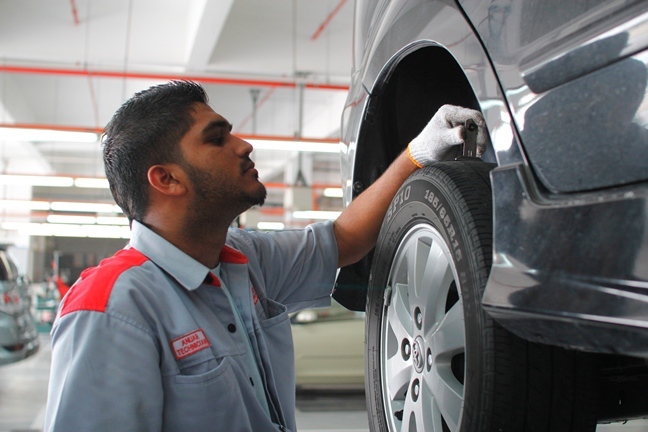 Lexus Malaysia believes that great brands have the power to inspire and by telling the Lexus story, it continues to reign its reputation in producing reliable quality luxury cars with impeccable, precision and craftsmanship. Inspired by the brand, Lexus became a worldwide success since it took the US market by storm in 1989 and became the top selling luxury import brand since then. With a global presence in over 60 countries, LEXUS belongs to the Toyota Group of motor vehicles. In Malaysia, Lexus was officially launched in 2007 and has pride themselves in continually raising the bar on not just luxury and performance, but also strive to provide a level of service that is in keeping with the ideals set out in the Lexus Convenant of pursuit of perfection. On display will be the all new Lexus GS at both locations and the luxury hybrid model Lexus CT 200h will only be available at Gardens, Kuala Lumpur. Both of these models are representations of the Lexus’ continuous “Pursuit of Perfection” and will raise the benchmark in terms of refinement in quality, detailing and styling in the luxury market. The introduction of the Lexus CT 200h last year, the world’s first full hybrid luxury compact, received tremendous response from the public with more than 1,700 units sold up to date. The fourth-generation Lexus GS which was recently introduced in March this year, marks a huge step over its predecessor in terms of design, technological capabilities and most importantly comfort and drivability for both driver and passenger. Both Lexus models feature the “spindle grille”, a new design philosophy which is now an identity of establishment and symbolises the future of Lexus. This bold, elegant and highly individual grille makes the new Lexus GS and the CT 200h instantly recognisable as a Lexus at first glance. The grille is part of a new design trademark of Lexus called the ‘L-Finesse’, which will soon be adopted throughout the brand to strengthen the Lexus family identity between model ranges. With the display of the new Lexus GS and the Lexus CT 200h at the showcase, Lexus Malaysia is confident it will continue to strengthen its brand presence in this country, and continue to win the hearts of many more customers. For more information about the showcase information, please visit Lexus website www.lexus.com.my or call Lexus Freephone: 1800-88-LEXUS (1-800-88- 53987). 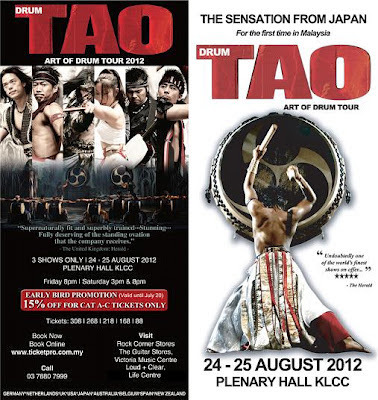 World-renowned Japan martial arts and drum-playing extraordinaires, Drum Tao, will finally be showcasing their internationally applauded performance in KL for the very first time in August 24 – 25 at the KLCC Plenary Hall. After playing to audiences of more than 5 million, in 400 cities in 17 countries that include Switzerland, Denmark, Israel, USA, Australia, Spain, Belgium, UK and Germany, critically-acclaimed Drum Tao, will explode onto the KL stage with its eclectic mix of dance and martial arts as the dynamic and innovative Japanese performers beat their Wadaiko Drums. Drum Tao is world class entertainment at the highest level. It is an innovative contemporary Japanese production that has thrilled audiences with this ground-breaking presentation and one-of-a-kind show. The two-hour extravaganza features super human efforts by the 16-strong highly disciplined crew of Japanese Taiko drummers, who spend eight months of the year touring the world, giving it their all in the 500 shows they perform a year. Each Wadaiko Drum used in the performance weighs a massive 400kg with a 1.7metre circumference. The performers then switch to creating complex rhythms on smaller drums, complemented by the delicacy of bamboo flutes and a horizontal harp. Drum Tao will transport its audience to an unforgettable artistic universe with their breath-taking and stunning performances. While their skilful drumming is exhilarating, Drum Tao also leap around the stage performing intricate choreography with their split-second timing, dressed in flowing red and black robes. The end result is mind-blowing martial arts married with mesmerising music, coupled with the musicians’ physical fitness, dynamism and extraordinary synchronicity, make them human rarities. The incomparable quality and pure unadulterated power and spectacle of their performance perfectly blends the ancient traditions of the Taiko Drumming and martial arts mastery with the innovative and flawlessly choreographed production values of contemporary Japanese excellence. Drum Tao is adored across the world with their unprecedented and timeless drumming performance and bringing a brand new genre to the stage. Audiences will be captivated by an evening of rhythm, beats, melody and extraordinary precision which is inspiring, uplifting and theatrical. Do check out their video below for a sample of what is to come! Established in 1993, Drum Tao continues to create an entirely new art form that is modern yet retains a sense of nostalgia. Enthralling and mesmerising their audiences world-wide, the Japanese drum’s intense and powerful beat underpins a musical message that penetrates deep into the hearts of audiences. Drum Tao’s Art of Drum 2012 can be seen from August 24 – 25, 2012 at the KLCC Plenary Hall. Tickets will be available through www.ticketpro.com.my or 03 7880 7999. You can also obtain more information from http://www.facebook.com/establishevents. There's a 15% early bird promotion if purchased before 20 July. McDonald’s officially launched its first McCafé in Kota Damansara today. The much-anticipated offering from McDonald’s is part of its ongoing commitment to provide Malaysians with best experiences at great value. McDonald’s has become known for quality food, convenience and everyday value, and has continuously evolved together with customers’ lifestyle needs. While the McDonald’s vision is to be our customers’ favourite way and place to eat and drink, it is not just about the food, but also loving the experience. This new premium coffee experience that McCafé offers is another example of how McDonald’s evolves to meet consumers’ changing lifestyles and palates. “The opening of McCafé in Malaysia is in response to the growing demand for good quality coffee, at affordable price in a comfortable environment. McCafé provides our customers with an enhanced coffee experience at great value without compromising on quality, freshness and convenience. The concept of McCafé operating inside our existing McDonald’s restaurants opens the door to more Malaysians to a premium coffee experience,” said Sarah Casanova, Managing Director of McDonald’s Malaysia and Regional Manager of McDonald’s Malaysia & Singapore. 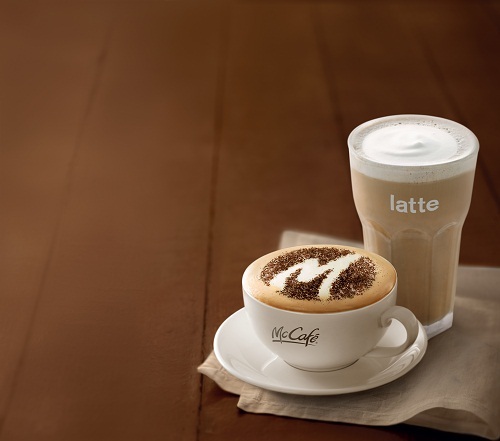 The launch of McCafé in Kota Damansara will see 10 more McDonald’s restaurants be fitted with McCafé counters by the end of 2012 and another 50 new outlets slated for 2013. The Company is targeting an aggressive expansion plan for McCafe with a nationwide reach. Each McCafé espresso-based coffee is made from premium 100% Arabica coffee beans grown in the hills of Central and South America. The beans are medium roasted to perfection, then freshly ground with every order to maintain their flavour and consistent quality as well as freshness in every cup. Crafted by professionally trained baristas, the special McCafé espresso blend yields a delicate and aromatic, full-bodied and rich taste. 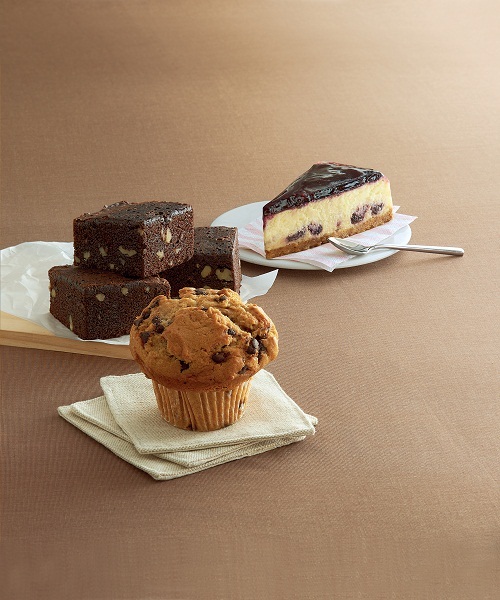 McCafé offers an extensive menu of premium quality beverages such as cappuccino, latte, macchiato, espresso, hot chocolate and frappe together with a selection of pastries, cakes and muffins. Beverages range from only RM4.50 for a latte or cappuccino and only RM6.20 for a frappe, available from 7am to 12 midnight daily. The McCafé concept originated in Melbourne, Australia where McDonald’s created its first café inside an existing restaurant in 1993. In 2006, McDonald’s Malaysia successfully introduced Premium Roast Coffee into its menu offering. 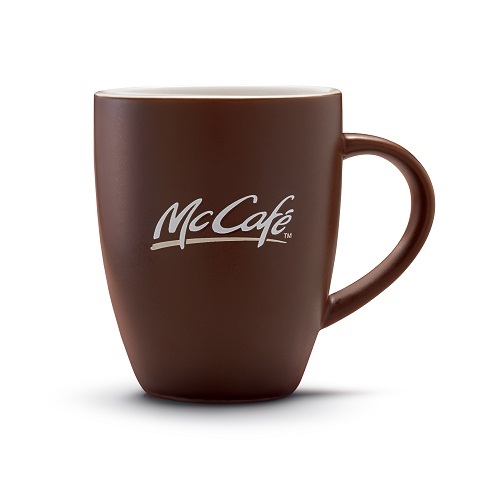 The premium coffee is freshly brewed with the McCafé blend, also using 100% Arabica beans. In 2012, McDonald’s offers customers the opportunity to enjoy premium high-quality McCafé coffees at great value. Malaysians can now indulge their senses over a range of specialty coffees made using only premium 100% Arabica beans, medium roasted and freshly ground to maintain its flavours. Possessing a delicate, pleasing aroma, smooth to the last sip, every cup promises a full bodied taste with rich texture. Find delicious beverages like cappuccino, latte, espresso, macchiato, frappe and hot chocolate made by our professionally trained baristas in a warm and friendly atmosphere - as well as delectable cakes and muffins. Bloggers Night @ McCafe ! Another fun fact which I just learnt today, McDonalds Malaysia is celebrating their 30th Anniversary this year in our beloved country. So how about experiencing some great coffee at the new McCafe soon? 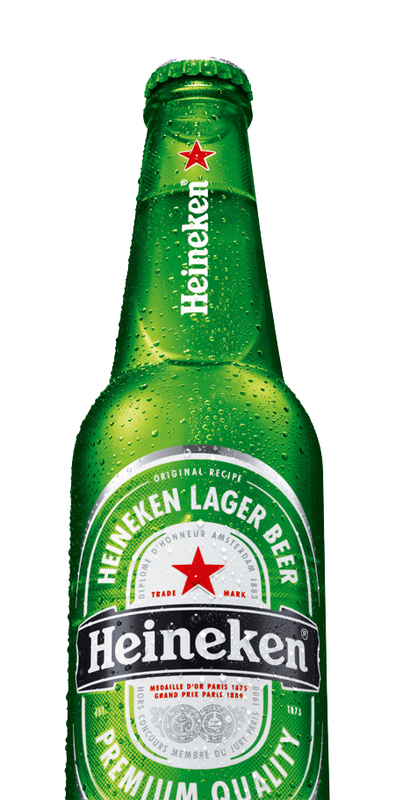 Heineken is proud to announce the launch of its new iconic bottle, featuring innovative details that provide a contemporary appearance and enhance the overall drinking experience. The launch is part of a global roll-out, streamlining Heineken’s visual identity and making the brand even more consistent and recognizable in all 176 markets worldwide. The new design stamps Heineken’s progress together with consumer’s sophisticated taste and also solidifies Heineken’s position as the market leader in the international premium beer segment. Heineken New Iconic BottleThe bottle features an embossed curve, inspired by the label ‘racetrack’, on the neck and back. 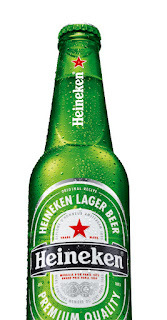 The back of the bottle features the same curve motif, set above an embossed Heineken logo and the iconic star. The curve acts as a thumb groove and is perfectly placed to meet the drinker’s fingers which add tactility and grip as they grasp the bottle whilst keeping the beer to stay cooler. 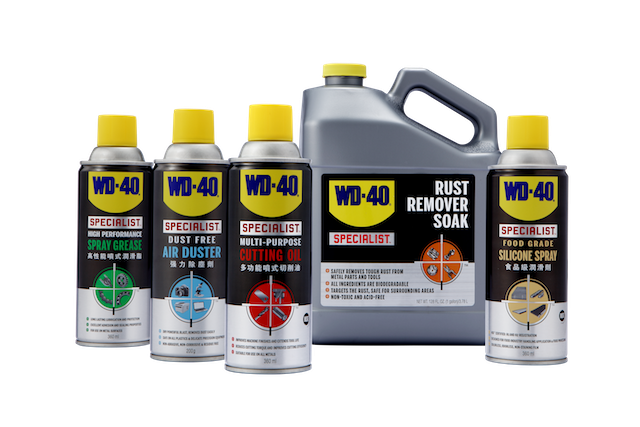 Additional bottle updates include a slimmer body accentuating the bottle’s premium feel and an elongated appearance emphasized by both vertical neck branding and a higher label position. As the world’s No. 1 international premium beer, Heineken understands it’s the small details that make the difference. The introduction of tactile elements further reaffirms Heineken’s quality and authenticity in the mind, and on the fingertips, of the consumer throughout the entire drinking experience. 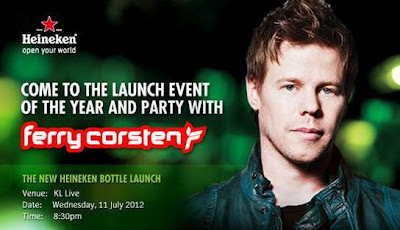 Celebrating Heineken FansTo celebrate the launch of its new iconic bottle, Heineken is flying down renowned Dutch DJ, Ferry Corsten to Malaysia for an exclusive invite-only party on 11 July 2012 at KL Live. To score invites to this exclusive event, consumers are encouraged to visit Heineken’s Facebook page at www.facebook.com/heineken. The launch party kicks off an exciting campaign dubbed the Heineken ‘Progressive’ Tour that will see exclusive events held nationwide and also Heineken’s well-known music programmes: Heineken Green Room & Heineken Thirst slated in the last two quarters of the year. To be part of Heineken’s exciting calendar of events, log on to www.facebook.com/heineken or www.heineken.com/my for more information. The bottle caps all now have QUALITY written on them. A longer neck gives the bottle a slimmer and more modern shape. It also proudly bears the Heineken name. The neck then leads to a strong and manlier shoulder. The thumb groove is an added feature that encourages you to hold the bottle with a better grip, and allows the beer to stay cold longer. The embossed logo gives the bottle a stamp of authenticity and class. A transparent label lets you see your beer clearly. It also sits higher, emphasising the shoulder.